Acid rain and other acid precipitation forms when polluted air mixes with rain, snow and fog. It's destructive to buildings and monuments made of limestone and marble, it's devastating to sea life and it's not that good for animal or plant health either. Acid rain effects on plants, be they farmland crops or old growth forests, are a hard-to-ignore warning that the chemical and fuel industries need to clean up their acts. Increased acid rain leads to increased toxins in the atmosphere and the soil. Free lead, zinc, copper, chromium and aluminum become plentiful. These toxic metals in the air, soil and water result in stunted plant growth as well as reduced populations of nitrogen-fixing bacteria. Acid rain can lead to plants losing access to essential nutrients. Sulfates and hydrogen sulfates in acid precipitation can leach calcium and magnesium out of the soil. The lowered pH can reduce populations of those microorganisms whose ability to break down decaying organic matter puts the necessary nutrients back into the soil. Acid rain falling on living plants is destructive to their leaves. 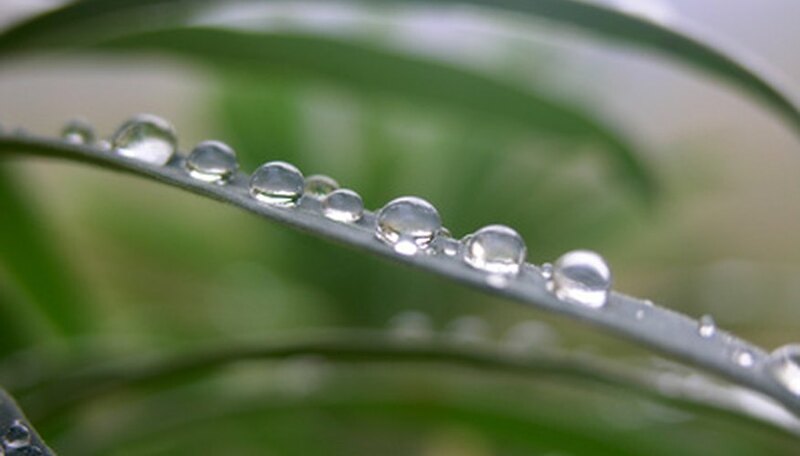 Specifically, the waxy protective coating on each leaf becomes damaged, allowing water to escape and acid to get in. The acid in the plant's system displaces the water, prevents carbon dioxide intake and retards or even disrupts photosynthesis. Damaged leaves also don't do a good job of withstanding the cold, making trees more likely to die in the winter. The National Acid Precipitation Assessment Program (NAPAP) has sponsored studies on the formation of acid rain, along with its effects on lakes, crops and forests. The Program is studying various strategies to combat acid rain, such as limiting emissions from power plants and automobiles and enacting legal regulations on the production of air pollution.